In 2018, the bathroom changed its appearance: it was no longer simply a service area, but was transformed into a liveable space, to be enhanced by furnishings with a unique design, like any other room in the house. Let's discover all this year's trends together, from trendy wall colours to new sanitaryware, washbasins and floor coverings... to create a bathroom that is perfectly in line with your needs. New bathroom furniture 2018: what can not be given up? If it is true that the bathroom is the room of the house where we spend more time dedicated to relaxation, it is important that the furniture best reflects our taste and our needs. It confirms a trend in vogue for some years now: banned, at least for the whole of 2018, bathroom fittings and washbasins with legs: the bathroom furniture is suspended, characterized by minimal and elegant design and shapes. Containers, shelves and sanitary ware are designed to be integral parts of geometric and optimized layouts. The Salone del Mobile in Milan confirmed the explosion of vintage furniture style: a real trend of which the cement factories could not but be a spokesman. Geometric but fluid patterns, warm colours that recall the nuances of the earth, rigorous flowers: trends that find new life thanks to modern interpretations. For 2018, the watchword is materiality. Wood or marble make the environment really sophisticated. 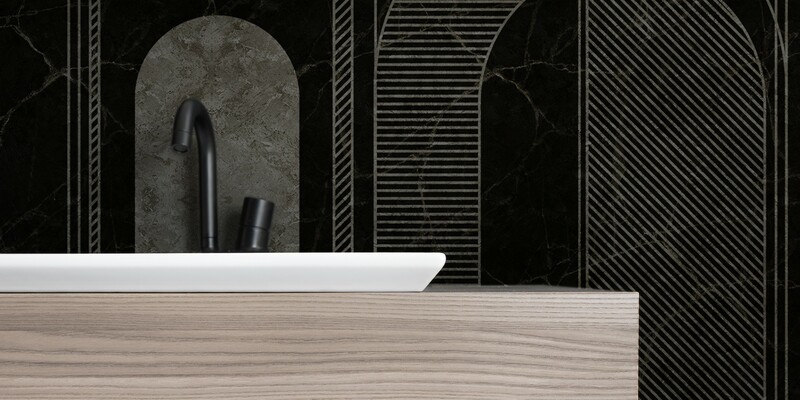 The marble or wooden washbasin countertops are proving to be trendy for a bathroom in classic style, but with an absolutely contemporary imprinting. Wood is also the ideal material for custom-made projects because it can take on different shapes and sizes. This year we confirm the trend of wallpaper for the bathroom as well. What's important is that it's durable, waterproof and anti-humidity. 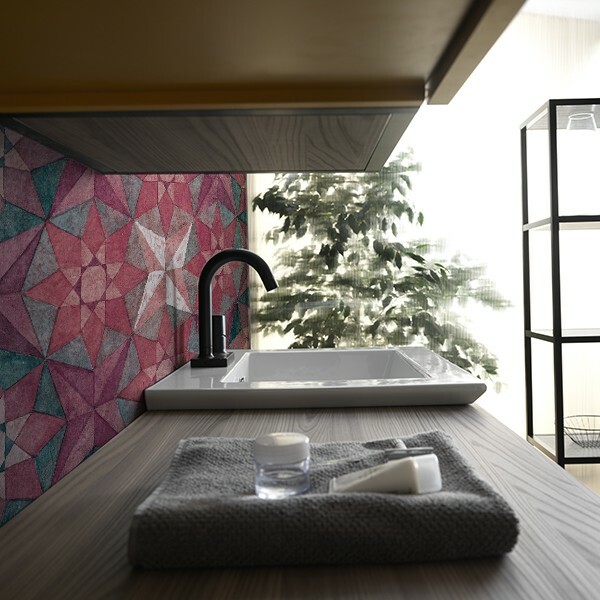 There are no limits to the use of colours and even less to the use of textures: solid colours but not only: graphic patterns triumph and are no longer a taboo even in small bathrooms. The shower cubicles are minimal and elegant, with glass or glass walls finished in steel. The profiles are square but brilliant, the sliding metal roller. The flush-to-floor platter is definitively established, also possible thanks to materials and techniques of slope and discharge more and more refined and reliable. Elegance never goes out of fashion: ceramic is always the protagonist inside the bathroom, a decorative element able to enhance the spaces, even the most restricted. Functional and essential: for those who want to furnish their bathroom with a style that will never go out of fashion!